I swear that I'm not on Royale's payroll (but maybe I should be), they just seem to be doing the best job of bringing celebs to Boston for parties - and then emailing me about it. For the last several weeks, all I've seen on my female friends' facebook status messages is "usher, usher, usher." So, I figured you guys may want to know that he's hosting an afterparty next week at Royale on 12/21 and tickets just went on sale. 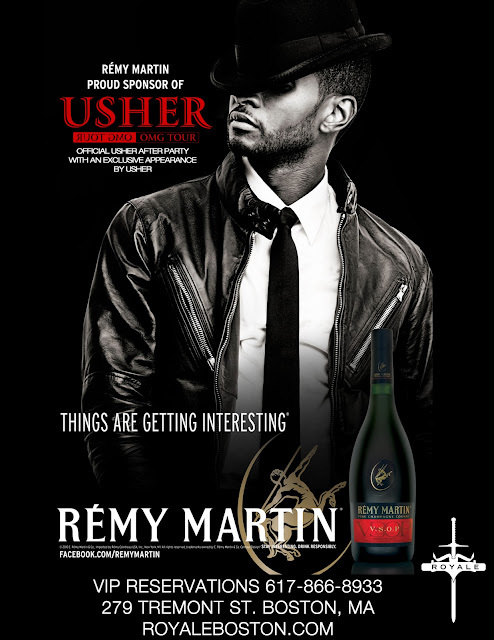 0 Response to "Usher Afterparty @ Royale - 12/21"